The RedBar Crew is a group of watch collectors and enthusiasts that meets regularly in NYC. Started by Adam Craniotes and Dr. Jeffrey Jacques after a chance encounter, it quickly grew from a monthly drink and chat between the two of them to a weekly gathering of dozens of collectors. RedBar has now expanded to other cities and the #redbarcrew hashtag on Instagram is avidly followed by horology enthusiasts around the globe. RedBar Group is the official organization for our international collective of watch collectors. Founded by Adam Craniotes and Kathleen McGivney, RedBar Group's goals include fostering the growth of existing collector communities around the globe, helping fellow enthusiasts start new meetups in their local areas, and encouraging collectors to give back to the local communities where our gatherings take place. As a company, we want to echo our passion for horology with a dedication to helping those in need in our communities. 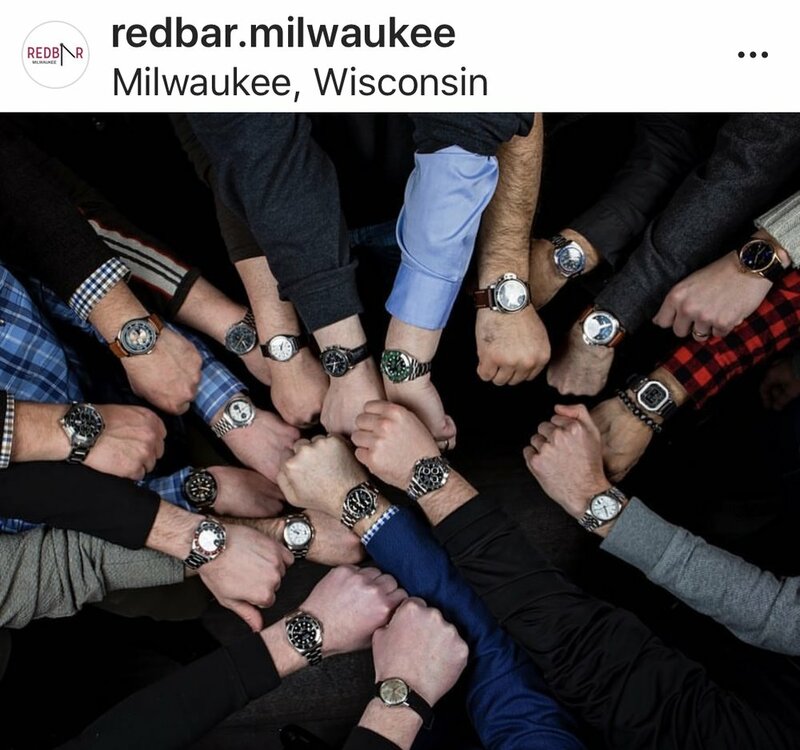 The RedBar Milwaukee Chapter was founded in 2018 by Ty Alexander , a Milwaukee based watch collector & commercial photographer. Follow RedBar Milwaukee on Instagram at #redbarmilwaukee and #redbarcrew. Craig Husar is a proud member.